Thank Erwin! Time is short, but I'll give this a go. Revell's 1:32 Harrier was introduced in 1972 and has since had several re-boxings. The version I will attempt is the US Marine Corps version designated the AV-8A Harrier. 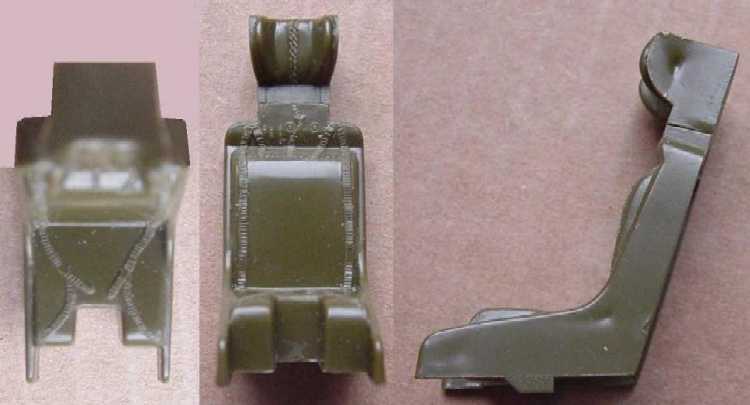 The re-boxings was issued in 1982 and is the same set of sprues, but with a different decal sheet to include the USMC all black markings. Since Trumpeter's perennial tease is the AV-8B Harrier II, I have no fear of having a duplicate kit on my shelf! Looking fgordward to this one as well - I have one of the original boxing lurking in one of the darker corners of my loft - and I'm intrigued to see how it actually builds! Thanks Jens and Scotsman; I'll try not to disappoint! Personally I dislike always starting a kit out with the cockpit, so I've been giving some other areas some attention, pre-fitting and planning where I would like to go with this kit. But more on that later. So finally I've started the cockpit and have decided to scratchbuild it anew. After seeing the stock pieces, you can understand why. 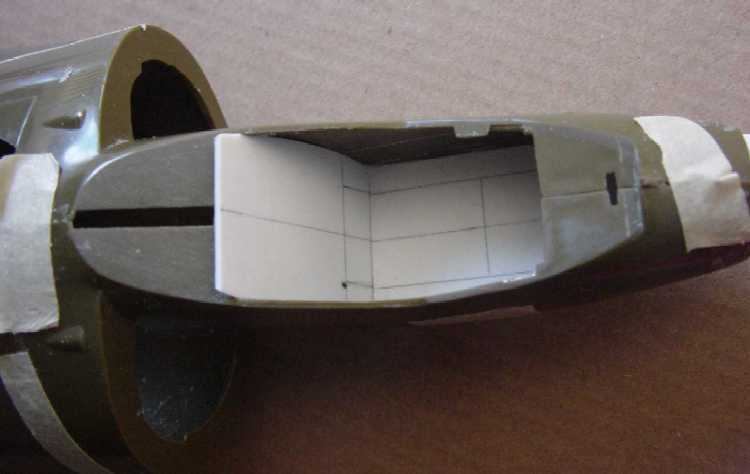 The cockpit floor has the most detail molded in and would eventually be 60% covered, unless you would like to model one with the seat ejected (?). The seat has everything captured in one piece (even the cockpit back wall, which I had cut away). 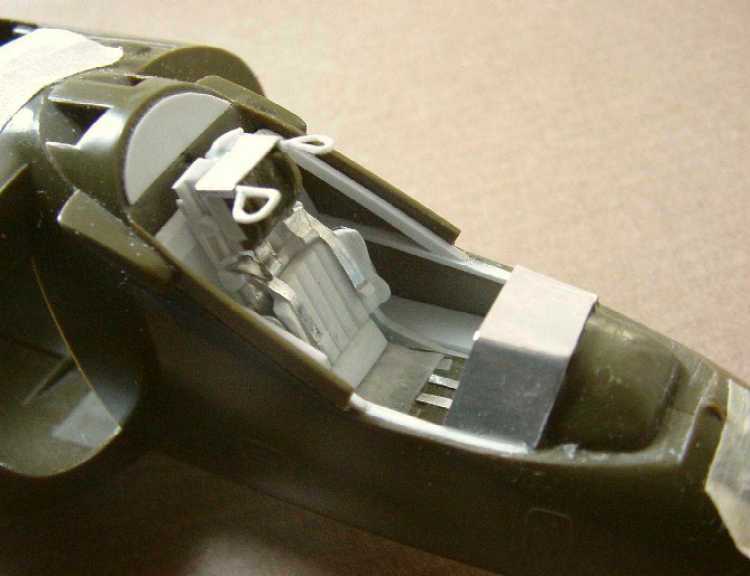 In the end the seat will be the most visible cockpit element. The RAF's GR.1 apparently had a Martin-Baker Mk.9A seat and the USMC's AV-8A, after 90th aircraft, had a Stencel SEU-3/A (SIIIS-3). The kit piece resembles neither (IMHO). 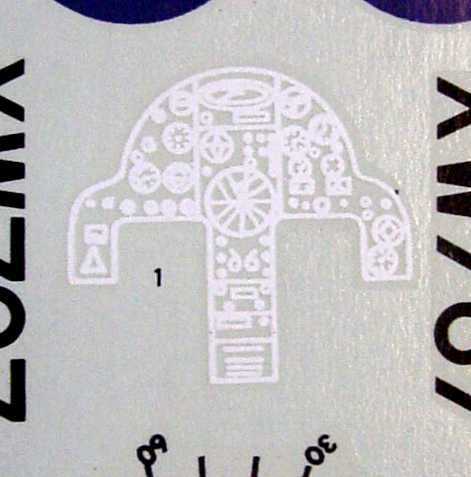 And then, if you had not been put off by now, the instrument panel is an absolutely flat featureless slab to which this decal is to be applied to represent, instruments. It could have been a useful springboard for detail if more care had been taken with its drawing quality, etc. Definitely going to make a difference Gene. Can imagine you'll make it look sensational. 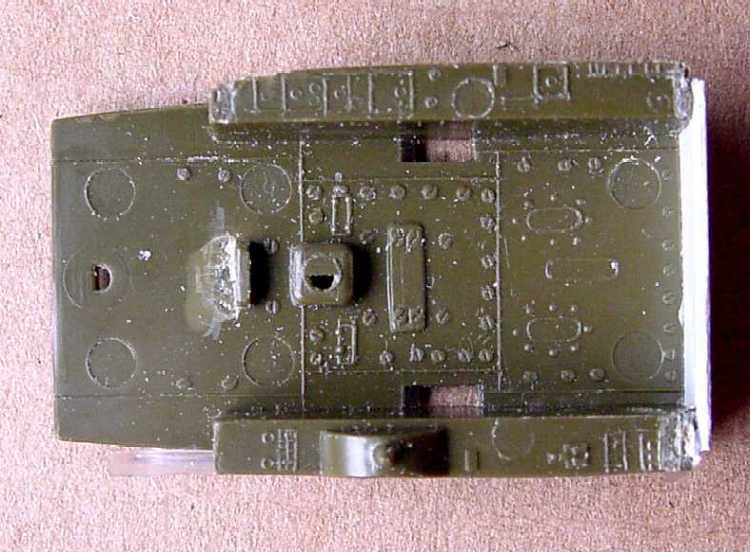 PS : I'm hoping you got that 109E resin pit on Ebay last night for 0.99c...damn if no one was bidding on that till late. Tonight some progress on the seat. It was done without scale drawings, but to get the proportions close, some more contemporary kit seats and aftermarket seats were studied. For the specifics, published photos and perspective line drawings were studied, but if was difficult to find very much one to one correspondence in the photos or drawings when I got down to the smaller details (the guys in the field must have had a devil of a time maintaining a comprehensive manual). In the end, my seat is just an educated guess and an amalgam of details as near as I could get. And with the assembled test fit (also tested, but not shown, was the clear canopy in place and that cleared the seat elements also). As a little aside, if you haven't tried, stationery/office supply type 'white glue' is a great way to temporarily glue pieces in place for test-fitting - it is slow drying, but will hold things in place enough to test fits and then will easily peal away and leave no marks, etc. (this is the case with the instrument hood of sheet aluminum in the pic). Now that is a model we hardly ever see. Great work so far. The stuff you did on the seat is impressive. Cannnot recognize the part any more. I have a bunch of pics of a C model if they might help. It looks very much like the A, and the Marines used them. Thanks Erwin, Brian, and Pete for the kind words! 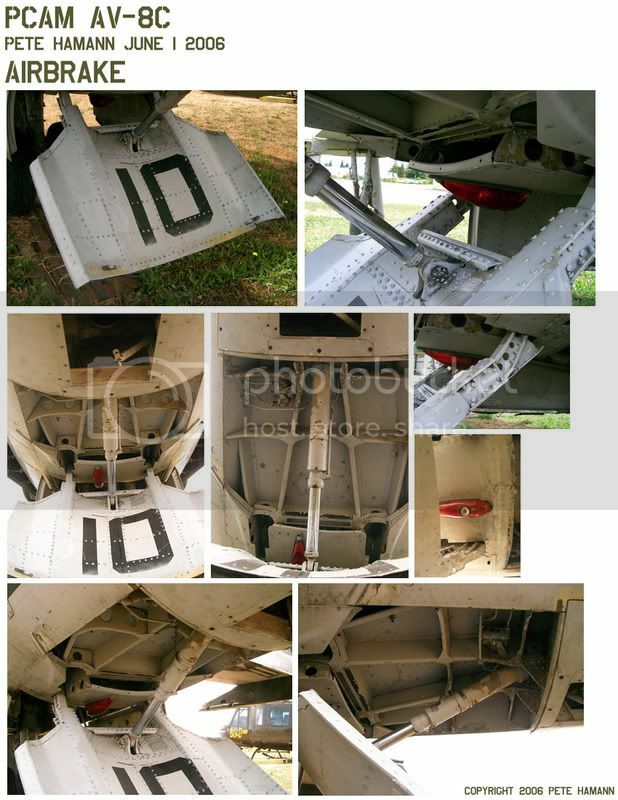 And a special thanks Pete for the Airbrake bay - that is one area (of many) that I have little information. I'll see what I can do! You are quite right Pete, the ‘A’ and ‘C’, for exterior purposes, are identical except for the inclusion of the ‘LID’ (Lift Improvement Devices) that appeared on the ‘C’. 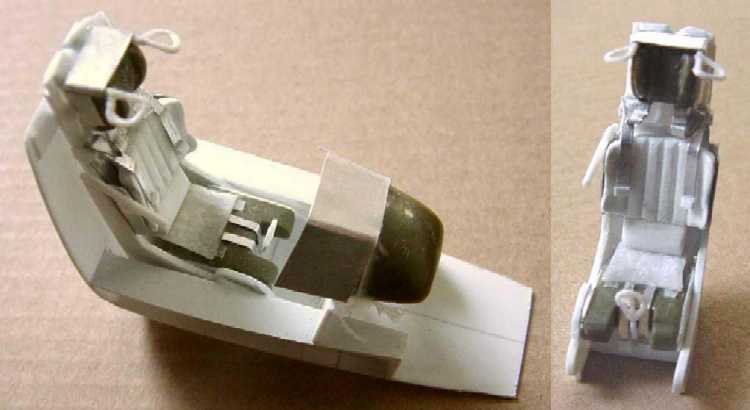 And they are quite easy to represent with a hinged air damn that drops down just aft of the front landing gear and some strakes that are attached to the bottom of the gun pods (or substantially deeper strakes if no gun pods are fitted). The hinged air damn can be closed and just represented with score lines. 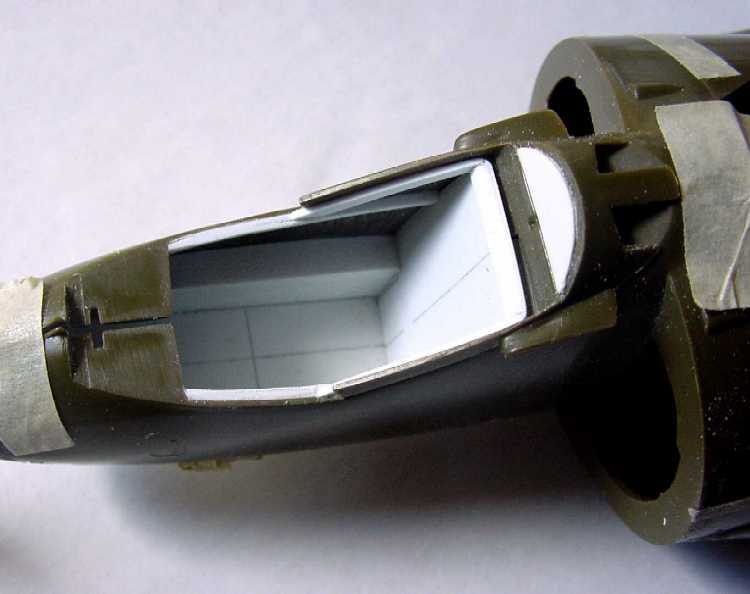 And the kit has some shallow strakes that can be added to the gun pods. According to the production lists, the serial number on the decal sheet (159253) started life as an AV-8A, but was later converted to a ‘C’ and later retired in the early 80s at MCAS Cherry Point with VMA-513. Quite an accomplishment considering the high attrition rate of the Harrier! Serial number 158976, an AV-8C, had served as a ‘gate guard’ on a pole at MCAS Cherry Point in the late 80s, but I don’t know if it is still there or what its disposition is.